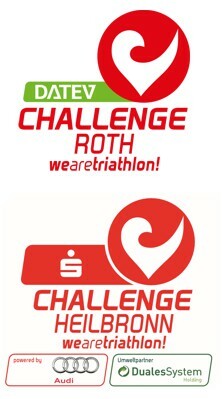 The pioneer of the energy gel SQUEEZY SPORTS NUTRITION is once again involved at the heart of triathlon at DATEV Challenge Roth and also Sparkassen Challenge Heilbronn as nutrition-partner. This is the second time as nutrition-partner in Roth for us and due to our first-class quality products and an exceptionally good stomach tolerance provided by the sports drinks, energy gels and bars produced exclusively in germany. The range is developed in conjunction with top athletes and sports scientists. Hereinafter you’ll find useful information about the ingredients and the recommended intake, tipps & tricks for athletes before, during and after the competition. Plus this additional and free samples of our product-assortment. All products contain carbohydrates in a combination of simple and complex forms. This carbohydrate mix ensures the body is provided with energy in the short term by fructose and glucose and that the energy level is maintained by complex carbohydrates like maltodextrin or isomaltulose. The products also contain minerals such as sodium and potassium. These minerals serve to support the muscles (cramps) and are involved in different metabolic processes, such as energy metabolism.